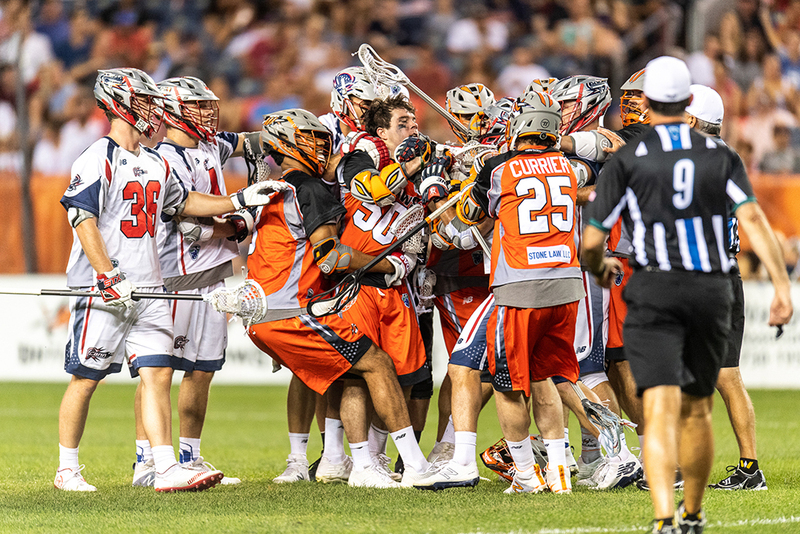 The Denver Outlaws put up a big score in front of a big crowd on Wednesday night as they defeated the Boston Cannons 26-11 during their annual Mile High Fourth of July celebration. The crowd of 29,973 fans is the fourth largest in Major League Lacrosse history. The game marked the first time the Outlaws have defeated the Cannons during their Mile High Fourth. Boston was victorious in four previous meetings, including 2015 in front of a crowd of over 31,000. 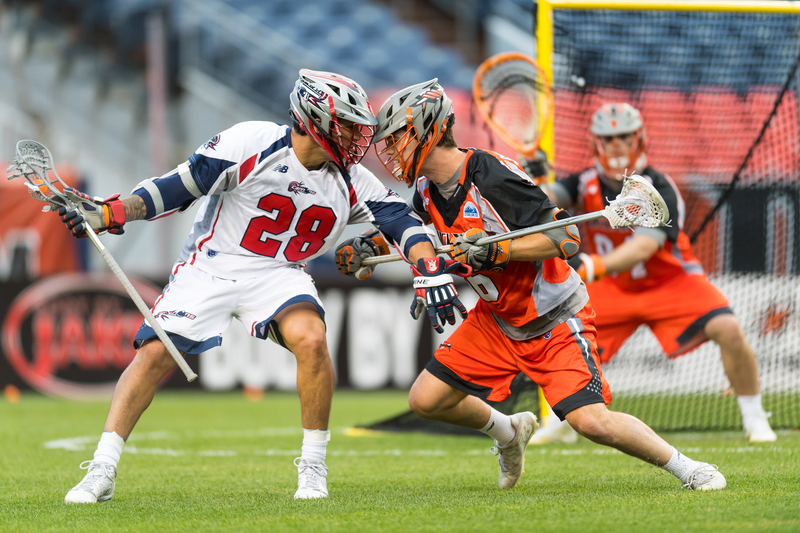 But the Cannons are having a dismal season, so the Outlaws were primed for a win in front of their home crowd as they attempt to get back to the MLL final and avenge their 2017 loss. Wednesday night was the Outlaws’ second-highest scoring game of the season. Two weeks ago they defeated the Florida Launch 26-15. Big scores have been a theme for the Outlaws this season, and while they started the season poorly, they’ve climbed into third place with a 7-4 record. Some of that is due to rookie Chris Cloutier (pronounced CLOO-chay, I don’t know why people are still getting this wrong) who is averaging 7.2 points a game and led the Outlaws with six goals and four assists against the Cannons. It’s not just Cloutier, though. Head coach BJ O’Hara has built a spectacular cast of supporting characters, who are all stars (All-Stars? A few of them were, actually) in their own right. Matt Kavanagh had four goals and three assists. Zach Currier had three goals and two assists. Mikie Schlosser had three goals to bring him to 21 for the season. Eric Law had only two goals and four assists, and that was a slow night for him. The Cannons traded face-off specialist Tom Kelly earlier in the season, and sophomore Max Adler has stepped up well. He handily beat Trevor Baptiste at the X on Wednesday, winning 28 of 39 draws (72%!). Adler was resilient during the game, taking a couple of beatings as he barrelled towards the Cannons’ net. Team USA goalie Jack Kelly was solid in net, though his defense did such a good job of limiting the Cannons’ offense that he wasn’t truly busy. He made 12 saves on 18 shots before giving way to Dillon Ward, who gave Kelly the rest of the night off in a game that was out of reach for the opponents. Mark Cockerton sandwiched a James Pannell marker midway through the third quarter, but that was the only momentum the Cannons could muster on the night, otherwise scoring haphazardly here and there. Denver led 6-2 after the first quarter and 11-4 at the half. There were some fireworks during the game, though nothing as spectacular as the 10,000 that were set off post-game while the Denver Broncos skydiving team performed. The Outlaws had a large margin in an emotional game so there were some rough moments and some unsportsmanlike penalties taken, especially late in the third quarter when the Outlaws were up 18-7. Kavanagh’s goal with 10 seconds left in the quarter was unappreciated by the Cannons’ Mitch Belisle (see above photo). The Outlaws are off until July 22 when they host the first-place Dallas Rattlers. Boston visits New York on July 19.